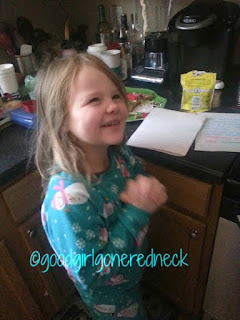 Reading the response from Santa to her incredible letter TO him. SO much joy and glee. And love. Lots and lots and lots of LOVE. I love that she got a letter back!